The traditional weaves and designs of our artisan tribes have adorned people and their homes for centuries. Recently, Impulse Social Enterprises invited several designers to take the timeless classics woven by our partner tribes, and give them a contemporary twist on the lines of haute couture. What they came up with, not only surprised us but also delighted our women artisans – who are amazed to see what has been created with the skills their mothers and grandmothers handed down to them! Impulse Social Enterprises is proud to present our first season of Empower Couture, with six high-fashion dresses for women, made from traditional fabrics of our artisan tribes. 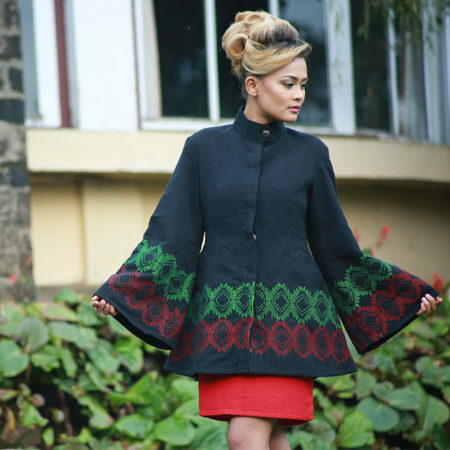 Empower Couture isn’t a fancy page 3 label (yet), but it does have badge value of supporting sustainable livelihood for women in the northeast states of India. Happy shopping, and happy wearing!